PLUS, AS A DIRECT MANUFACTURER, WE CAN SAVE YOU MONEY! Our patented Pebble Top Drain Covers adhere the same plaster, aggregate or tile directly to the top of our drain covers so they virtually disappear into your pool floor or wall. 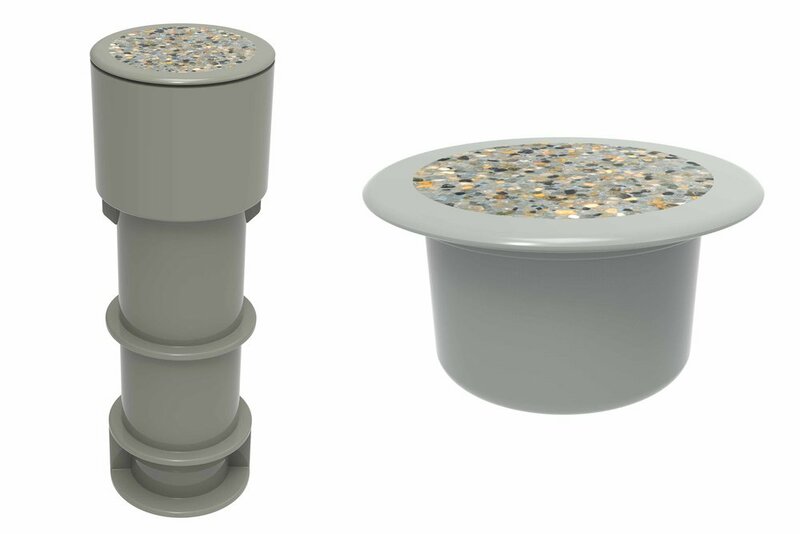 We've designed our Pebble Top Drain Covers in an 8-inch Round, 10-inch Round, and Channel Drain. You'll also love our new 20-inch Unblockable 360 Pebble Top Drains that include the sump. We've created the only Unblockable Channel Pebble Top Drain Cover on the market that blends with any pool finish.